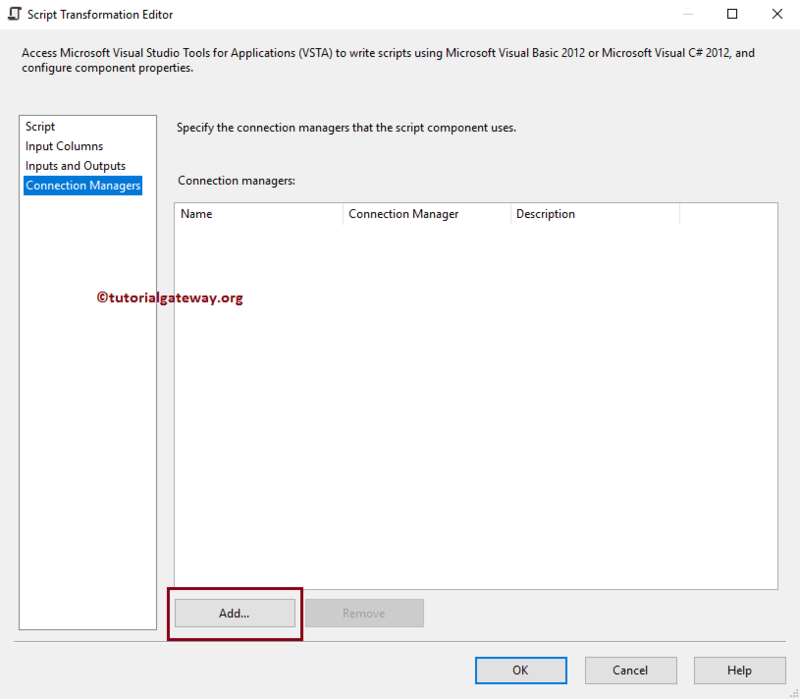 The Script Component is the most important, and powerful component in SQL Server Integration Services. It can act as a Source, Transformation, and Destination. 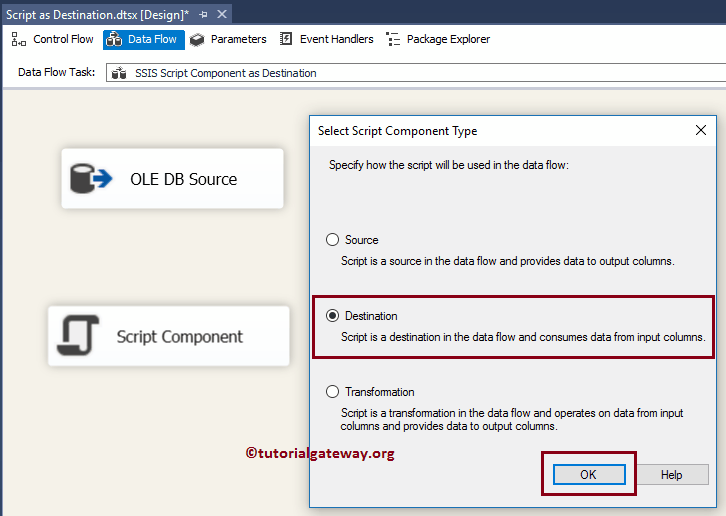 In this article we will show you, How to use the SSIS Script Component as Destination with practical example. Though we are using very simple example for the demonstration purpose, it is designed for doing robust work. 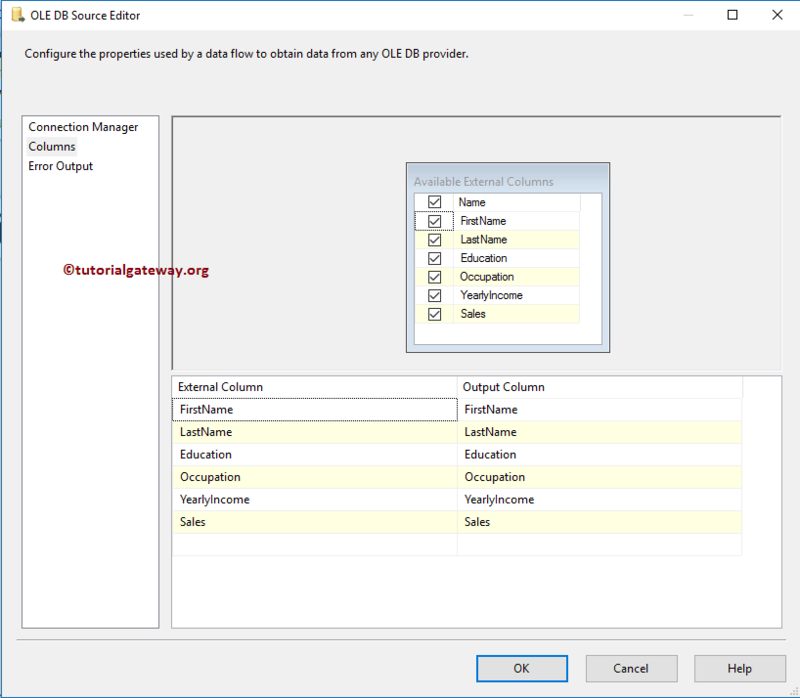 Before we start creating the SSIS package, Let us see the SQL table and the data that we are going to use. 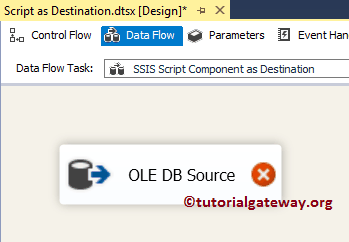 STEP 1: Drag and drop the Data Flow Task from toolbox to control flow region, and rename it as the SSIS Script Component as Destination. 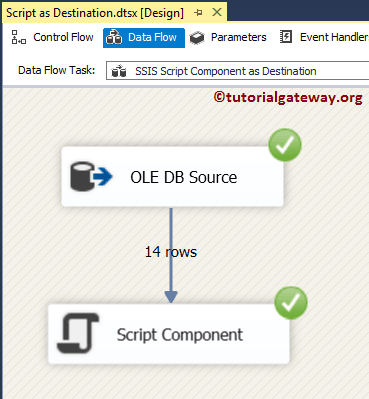 Double click on the data flow task will open the data flow tab. 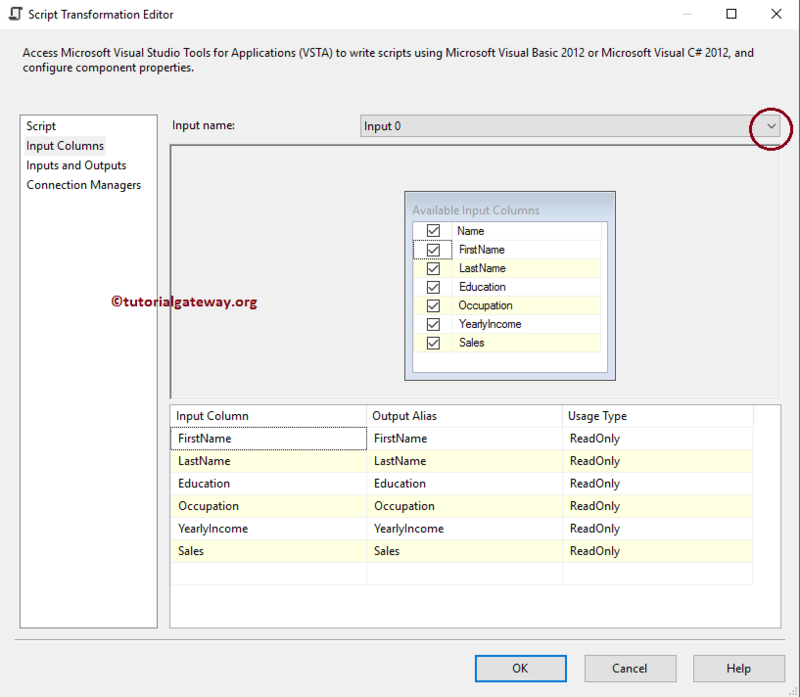 STEP 3: Click on columns tab to verify the columns. In this tab we can uncheck the unwanted columns also. 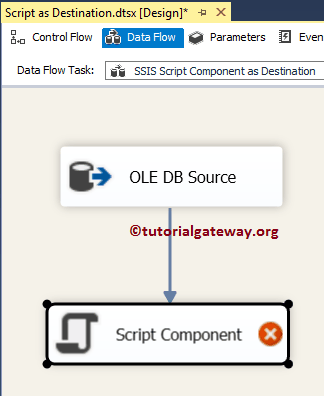 Description: Briefly describe the Script Functionality. It is always a good practice to provide the valid description. STEP 6: Within the Input Columns tab, you can cross check the input columns. 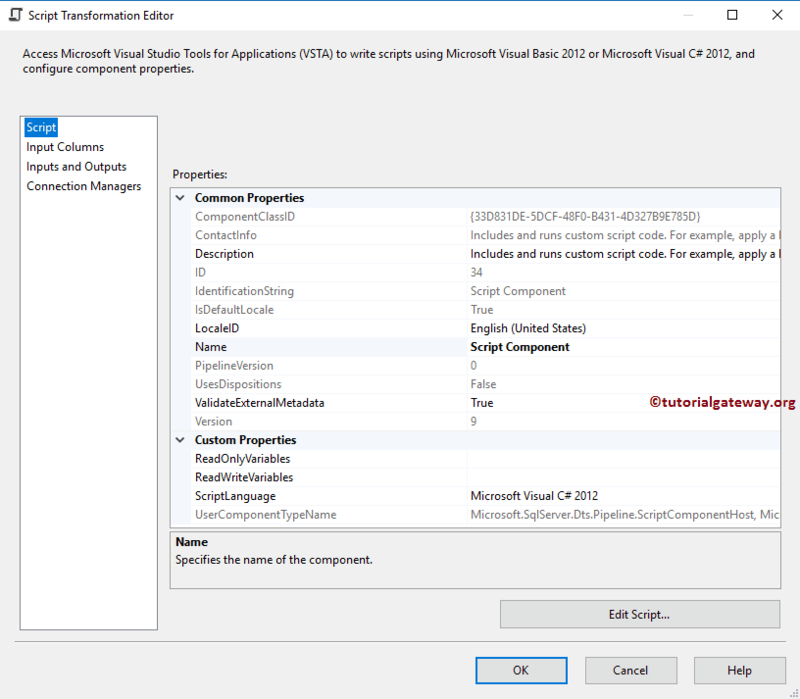 TIP: You can change the language to VB.Net using ScriptLanguage property. 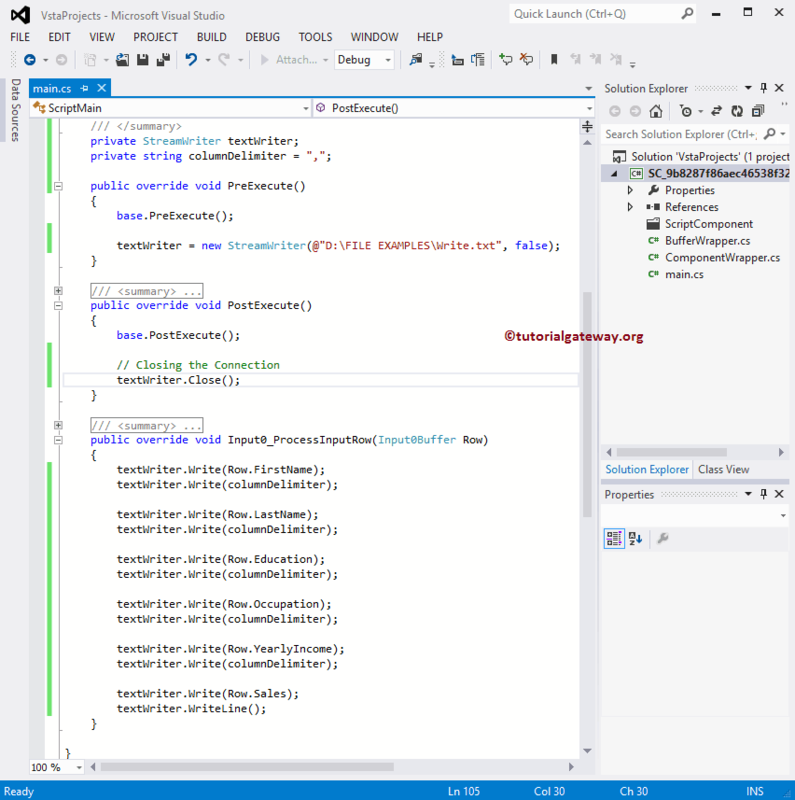 STEP 9: Add your custom C# code here. 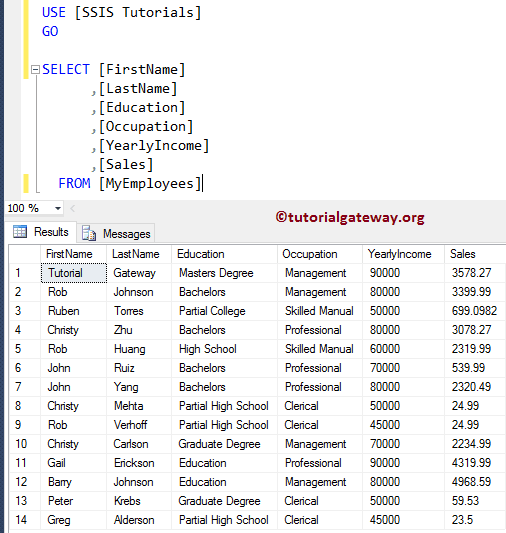 For this example, we are reading each and every row, and column present in the source data to the text file. 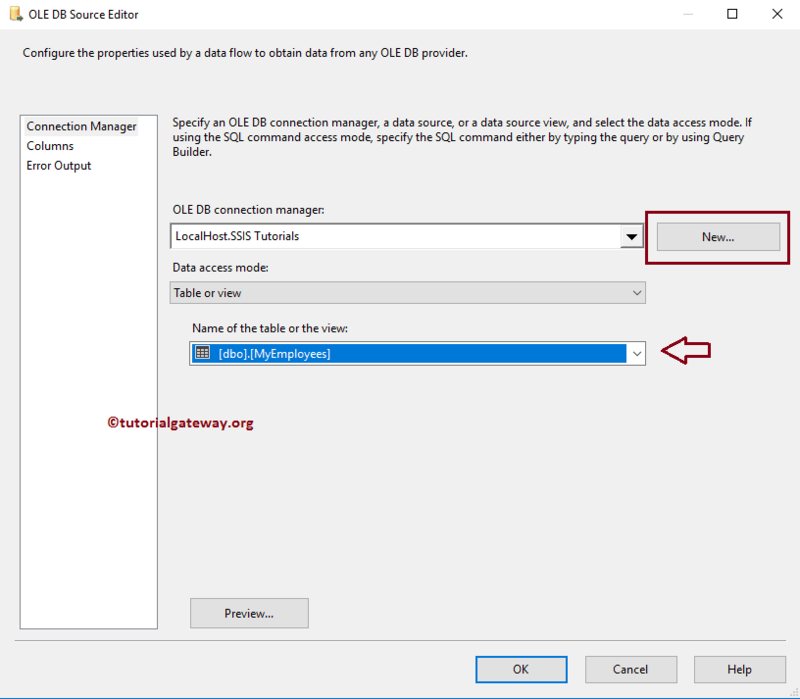 /* Establish the Connection before the data flow begins. 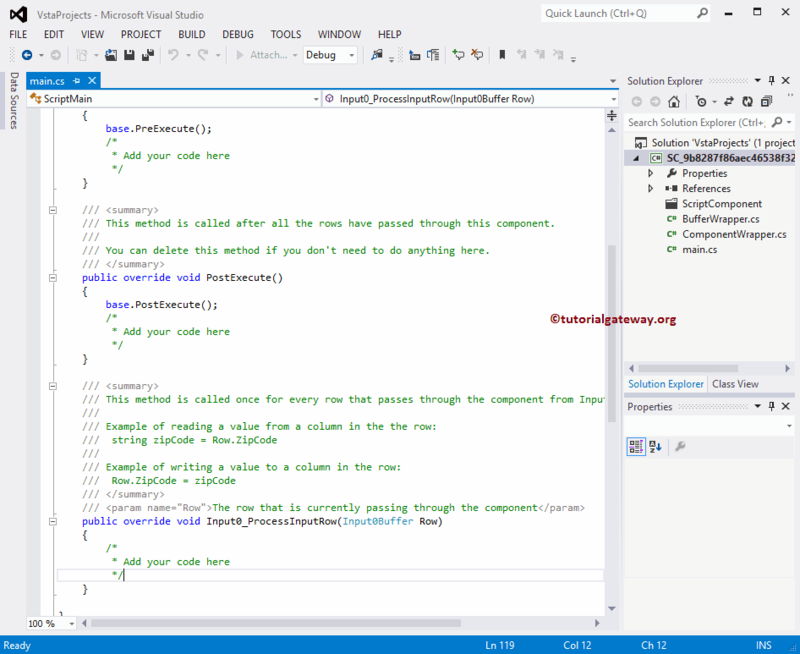 /// This method is called once for every row that passes through the component from Input0. 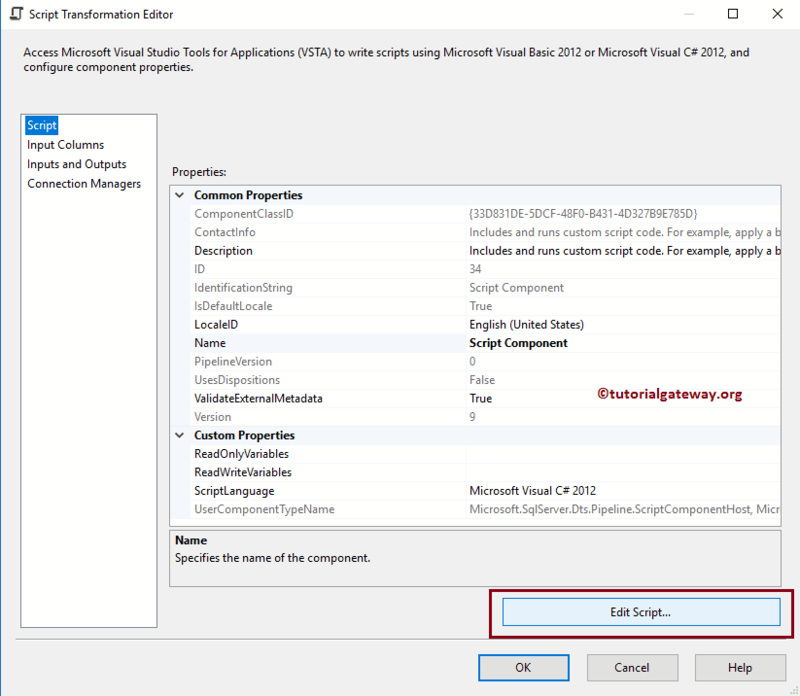 STEP 10: Right click on the SSIS Script Component as Destination Package in the Solution Explorer, and select Execute Package. From the above screenshot you can observe that our Package has executed successfully. Let’s open the text file and see whether the data is written or not.